One thing became clear to Brett R. Smith and his squad of conservative comics maestros several years ago. You can’t hope to win — or even fight — a culture war without producing culture yourself… and pop culture is the best way to reach young people. Brett reversed conservative’s culture losing streak in 2016 with the release of the Clinton Cash graphic novel, which brought Peter Schweizer’s classic exploration of the Clinton’s financial misdeeds to a whole new audience. 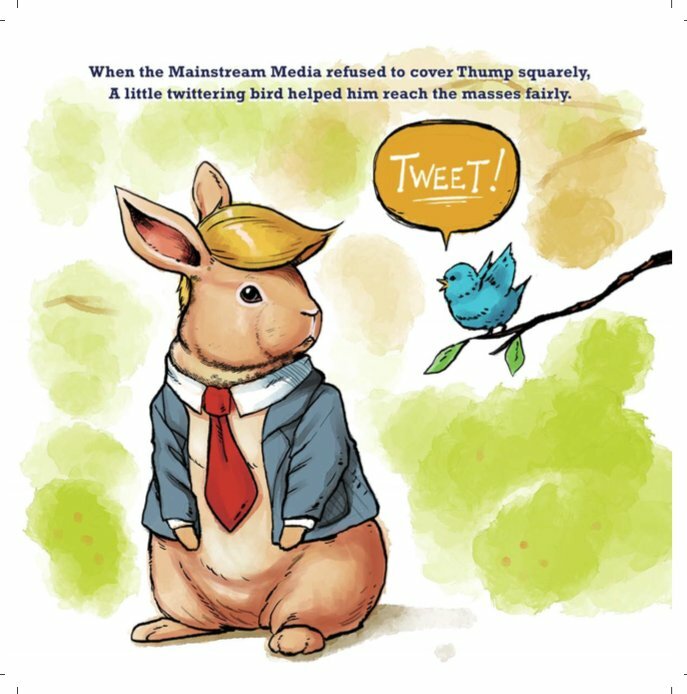 Now Brett is back with Thump: The First Bundred Days, a picture book that tells the story of the 2016 election with Donald Trump cast as a lovable rabbit named Thump. Besides being a badly needed dose of conservative pop culture, Thump is a tool for conservative parents to talk to their children about President Trump. Every day American children are exposed to entertainment and even teachers that demonize President Trump. Thump is a cute cartoon character that can cut through all the negativity to show children a different side of the President. If you fear your children are walking home from school wondering, “are the President and his supporters as evil as my teacher says they are?” Then Thump is the book for you. Thump is available on Halloween from Amazon and all other major booksellers.